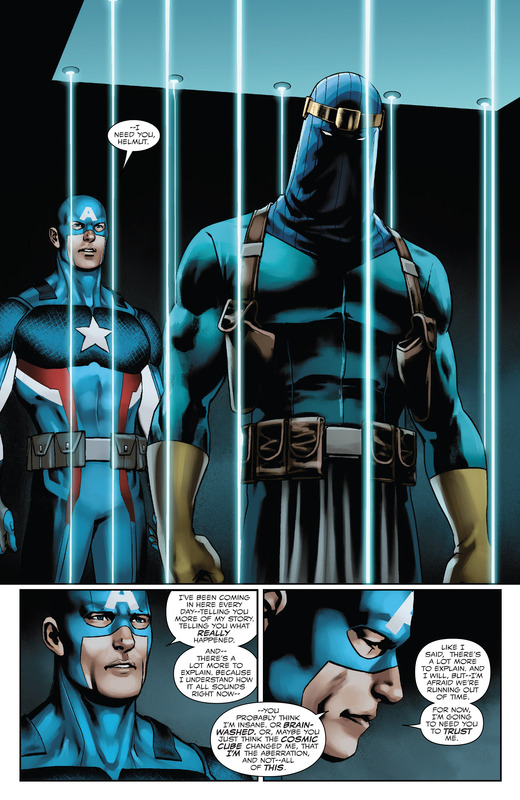 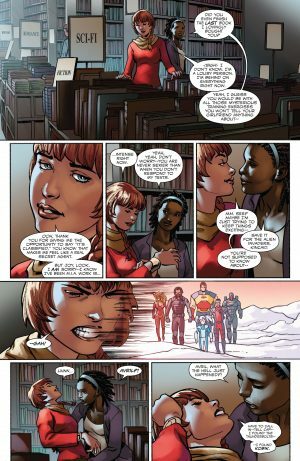 Marvel Now 2017 and Secret Empire Prelude Spoilers for Steve Rogers: Captain America #11 follow. Secret Empire, and Captain America will stand revealed as Hydra, is coming. 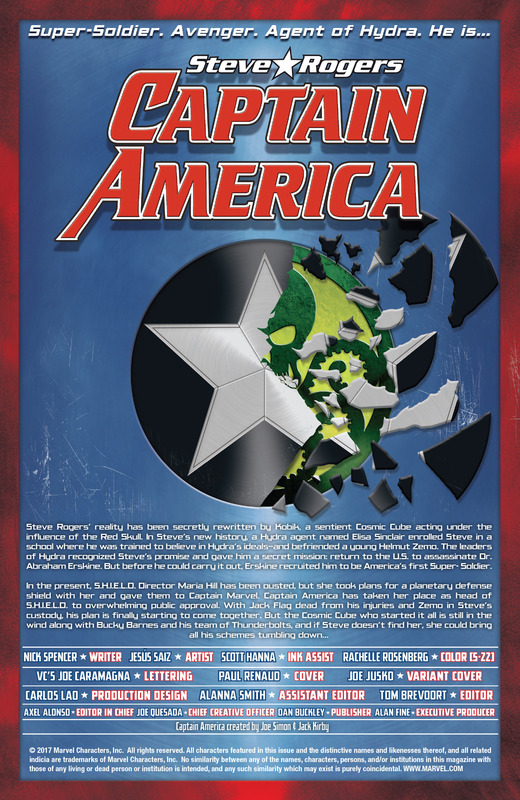 The path blazes through Steve Rogers: Captain America and in issue #11 in a big way yet we still don’t which of the two green Captain Hydra costumes revealed Steve Rogers will really be sporting. 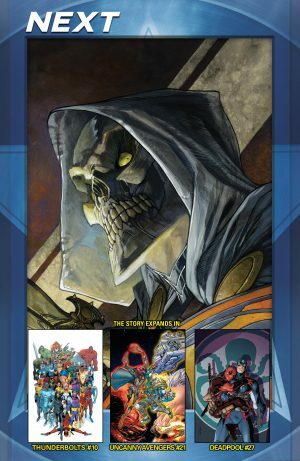 If you haven’t been reading this series regularly like me, check out the opening summary. It fits in some holes to the story I have been watching from afar as Secret Empire was announced. 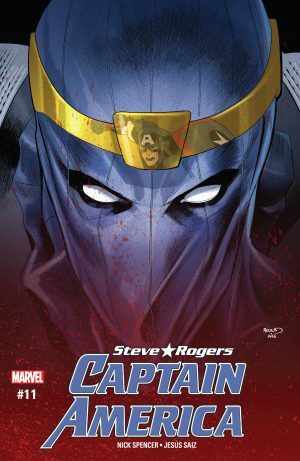 Looks like Captain America Steve Rogers needs Baron Zemo for Secret Empire. He reminds Zemo of their shared past (thanks to Cosmic Cube rewrite of Steve Rogers’ old reality?) 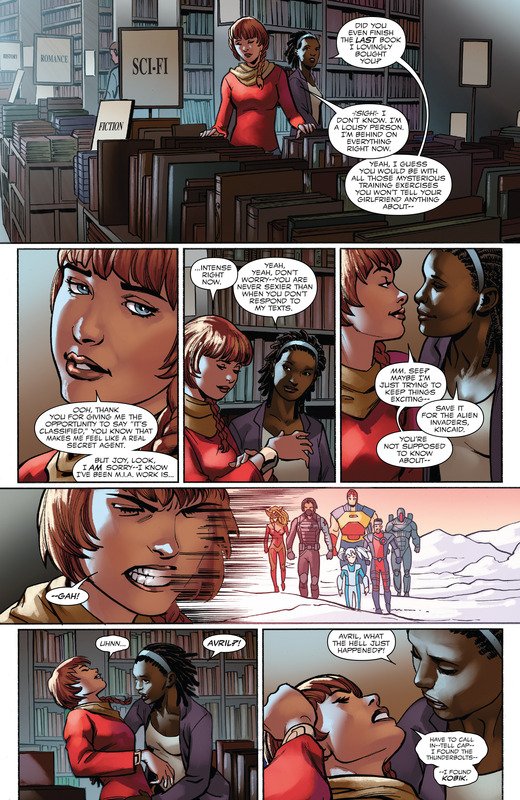 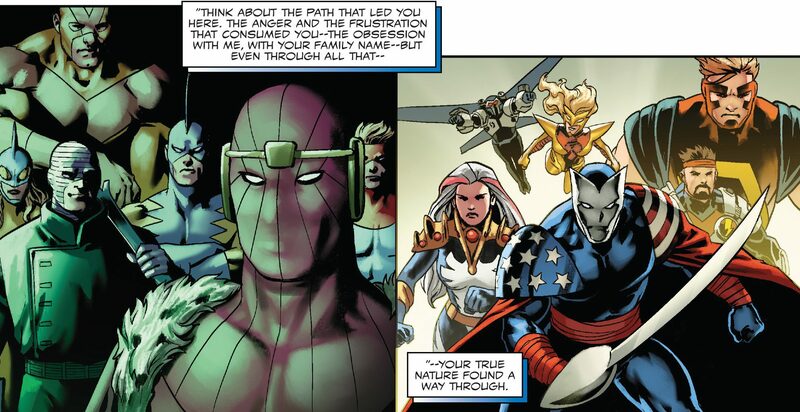 and as part of that he talks about Zemo’s time as Citizen V with the Thunderbolts. 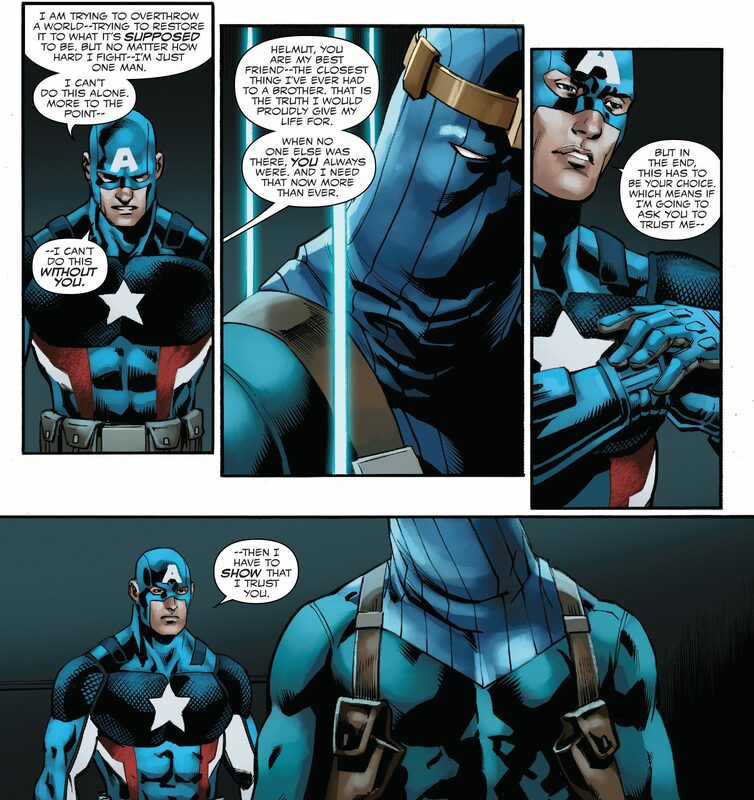 Steve Rogers sees Zemo as a brother and needs him to overthrow the world order. 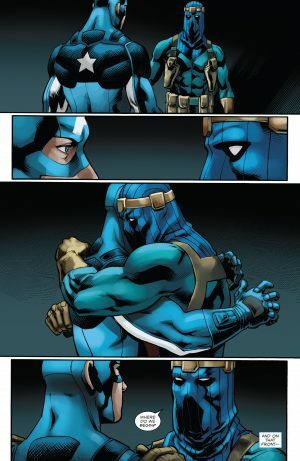 He sets him free. 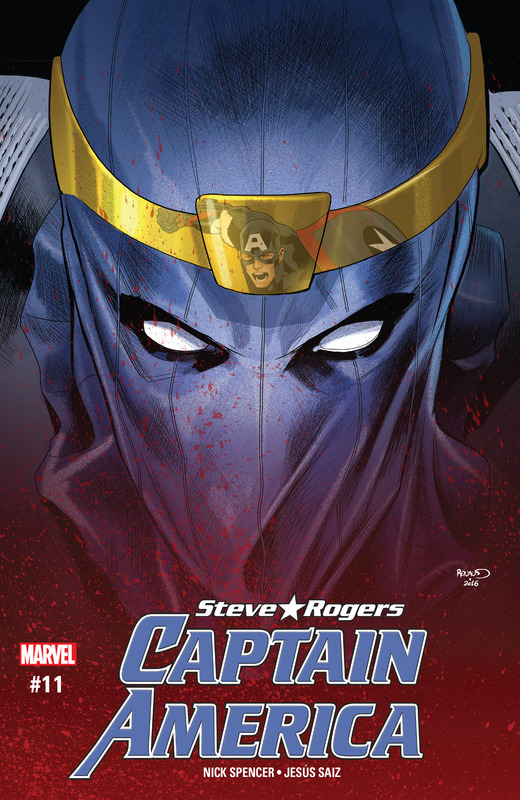 Baron Zemo is on side with his “brother”. We then a have a scene with two characters I don’t know, but one of them seems to be some kind of telepath who located the Thunderbolts and the child Kobik (a living, breathing Cosmic Cube I believe). 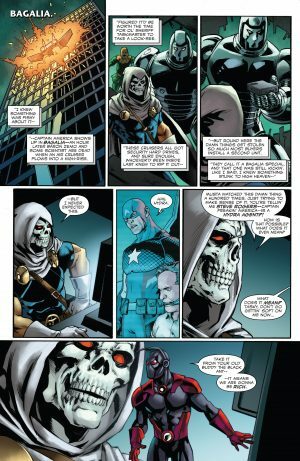 Looks like the Taskmaster, a fave Marvel character of mine, knows Captain America’s Hydra Secret?! Wow. 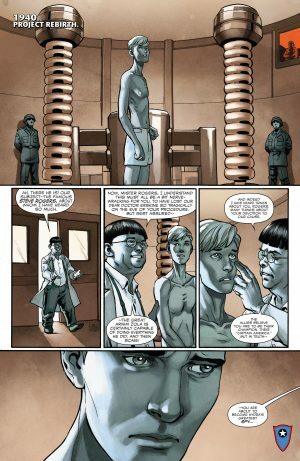 And them we get Project Rebirth explained, or at least begin to be explained, and how Steve Rogers turned traitor all those years in the Super Soldier serum trial prior to being imbued with its power. Other books of interest are teased at the end of the book too.